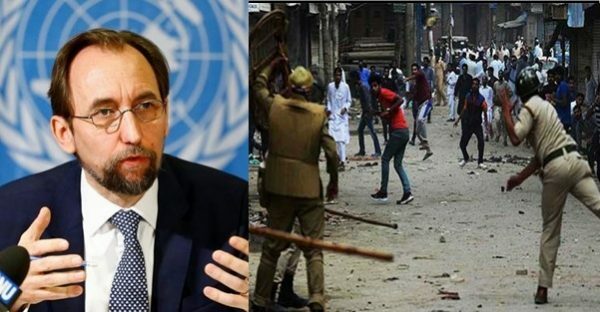 For the first time, the United Nations released a report on alleged human rights violations in both Jammu and Kashmir and Pakistan-occupied Kashmir. The UN Human Rights demanded an international inquiry into the claims. The international body accused security forces of gross human rights violations on both sides of the border at the same time accusing India of using excessive force on civilians. It suggested respect of Kashmiris’ right to self-determination, as international law allows it. 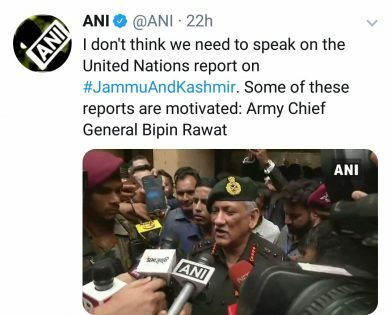 In this regard, Army General Bipin Rawat said, “I don’t think we should get too concerned with these reports. 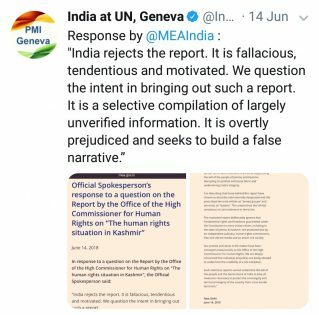 Some of these reports [by human rights organisation] are motivated. The UN had taken a stand on the Kashmir conflict several times. But where were the UN Human Rights when stone pelters in great numbers came to the streets and wounded security forces? Stone pelting on security forces has been a regular affair in Jammu and Kashmir during security forces’ encounters with terrorists. Sympathizers of stone pelters have only seen a rise! It has been proven that Pakistan is provoking and funding them. It is an irony that even the honorable Supreme Court has asked the centre to look for an alternative to using pellet guns on stone pelters. Security forces suffer the most, getting injured and even sacrificing their lives. If the UN Human Rights is interfering on Kashmir conflict, why are they silent on the stone pelting issue? Where were the UN Human Rights when the Kashmiri Pandit exodus happened in 1990? Lakhs of Kashmiri Pandits were forced to flee their homes. There was mass genocide. Women were raped and there was utter chaos. Kashmiri Pundits are still refugees in their own motherland. They are yet to get resettled. 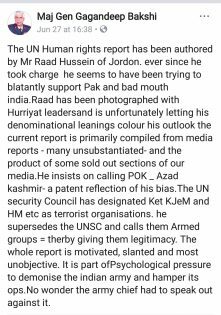 Why has the UN Human Rights not interfered in this context of the Kashmir conflict? Featured image courtesy: Dunya News and The Times Headline.